You may have heard that Webwords loves an incognito long weekend away: the change of scene, the new experiences, the chance to reflect and renew. The delicious anonymity that might allow you to challenge someone's sexist, racist or ageist opinions without having to worry about therapeutic neutrality, and the chance to use your pet cockroach to eat free in restaurants. On the other hand you may not have heard that the quietly philanthropic group, the Beneficent Friends of Webwords, shares this passion for undercover work. A typical Friend is a conference tragic or CPD enthusiast, works furtively and alone, and travels the land developing illicit hoards of toiletries, pens, jotters, coffees, teas and sugars, sewing kits, shoe wipes, Do Not Disturb and Make Up My Room Now Please signs, coasters, and other collectables - to donate to charity, naturally. The hospitality and the travel industries know a thing or two about such benevolent work, and are unappreciative, classifying it among the top three travel taboos: lying, cheating and stealing. 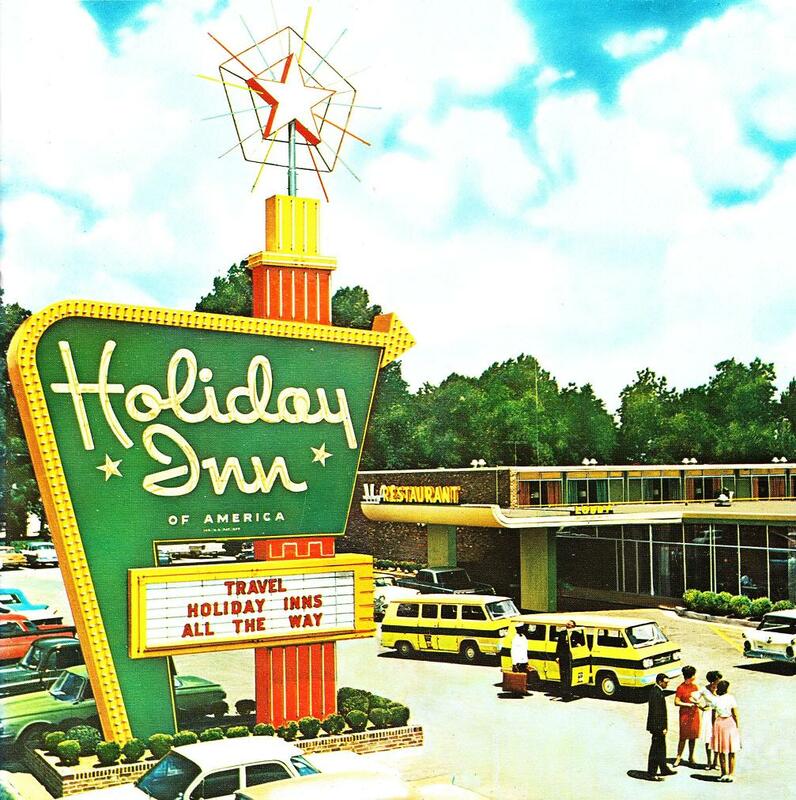 Tackling stealing with wry humour the Holiday Inn chain won an industry award by holding an annual Towel Amnesty Day when each guest was issued with a retro green-striped towel with a tiny message that read: 100% Cotton 100% Guilt-free 100% Yours. Hoteliers have not come up with a funny way of dealing with patrons' propensity to nick lamps, irons, faxes, modems, bathmats and flat screen monitors, or to drink the Evian from the mini-bar and replace it with tap water. Tap water! That's bad. Even the Beneficent Friends would not rationalise that as a form of recycling and would not be caught doing it. But we can only wonder what twisted logic they would apply, or the conduct they would advise, in the following situation. Tired and hungry after a long flight, you and your budget conscious companion check into an exclusive country hotel around 7:30p.m., soon realising that the culinary extravaganza downstairs is seriously expensive. But wait! There is a moderately famous, good value BYO Italian in the next block. That's tempting. The only thing is, the sleepy town's bottle shop closed at seven. You've both noticed a very nice Pinot Noir gracing the mini-bar - three times the price you would normally pay for the same excellent drop. What now? Do you have a dry night, do you tick the box so that you will have to pay for the expensive bottle, or do you take the bottle to Antonello's without ticking the box and replace it with a well-priced bottle of the same thing from the local retailer next day? You can easily manage that before the guy comes around to restock the fridge. No probs. No-one will be any the wiser, and after all, a red is a red is a red, right? So what is the dilemma? And if there is a dilemma, what kind is it? Legal? Moral? Ethical? Are you thinking that you could live with your conscience for doing it but would not want the embarrassment of being caught? Are you justifying your cunning plan along the lines that if the mini-bar prices were remotely reasonable you would not be driven to extremes? That in fact you are not made of money and have a perfect right to economise and that it is the hotel's fault that you are guilt tripping. Moreover they deserve creative guest-behaviour if they persist in over pricing the grog and serving horrible meals to hideous music. Or are you thinking there is no dilemma, but a decision to be made: a choice to be taken from three obvious options. One, we pay top price for the Pinot and quaff it with gusto with our sixteen dollar Gnocchetti Cimbri with Leeks, Pancetta, and Cauliflower; two, we have the pancetta and cauli without bothering with wine tonight and be better organised with a legitimate BYO bottle by tomorrow; or three, we proceed with the money saving deception. Choices, choices. The Speech Pathology Australia Code of Ethics reminds us that we do not have any choice when it comes to our fundamental professional responsibility to observe the highest standards of integrity and ethical principles. It does not say look for the loopholes or choose your standards, or regard ethical practice as a worthy but unobtainable goal that only a total goody two shoes could live up to. Not at all. Instead it sets out our moral obligation to follow a series of principles when we strive to make ethical decisions. Our code's first principle is that of beneficence and non-maleficence. We seek to benefit others through our activities; and we also seek to prevent harm, and not to knowingly cause harm or make mischief. Principle two is truth: we tell the truth. The third is fairness and justice: we provide accurate information, we strive for equal access to services, and we deal fairly with everyone with whom we come in contact. Number four is autonomy: we respect the rights of our clients to self-determination and autonomy. And five is professional integrity or fidelity: we are respectful and courteous, we are competent and follow the association’s Code of Ethics, and we keep promises and honour our commitments to clients, colleagues and professional organisations. Clearly our Code of Ethics was not written with the quaffing quandary in mind. But let's have a go anyway. One: we embrace an opportunity, take the Pinot, replace it next day, and beneficence is upheld: the restaurant and the bottle shop have benefited and no harm had befallen the hotel. Two: we tell no lies. The waiter does not ask us where Pinot came from, the bottle shop salesperson does not query our purchase, and when the mini-bar guy comes we tell him the truth: we don't need a new bottle. Three: there has been no disrespect. Four: fairness has been served. We pay a fair price for a fair drop. And five: that's professional integrity or fidelity, remember? We don't have to worry about that just now, do we - after all, it's an incognito weekend away and we are not acting in our professional capacities. If you have the space and time to think about them, on a peaceful weekend away, for example, each of the key words denoting the five principles can evoke deep reflection. It is interesting, even inspiring, to consider the import of words like beneficence, truth, fairness, justice, autonomy, respect, honour, integrity and fidelity. That final word is possibly the most intriguing - a pleasantly antiquated, graceful one, associated with ideas of allegiance, fealty and loyalty - that means faithfulness to obligations or to duties, or to observances. And it meshes so exquisitely with its close relation, 'integrity' with its message of steadfast adherence to a strict moral or ethical code. Some time during a reflective long weekend away Webwords made some important decisions. She sent the cockroach back to his people, abandoned all thoughts of wining and dining scams, and made a note to have a stern chat to the Friends about their hunting and gathering activities. She confided later that she could not honestly ascribe these decisions to newfound insights into the meanings of fidelity and integrity. No, she insisted, it was something about the word steadfast. Webwords wanted to be steadfast: to be steady, firmly loyal, constant, unswerving, trustworthy and true to herself. By thinking about it, it had become clear to her that ethical conduct was not simply a worthy goal or a moral obligation specifically related to our practice as professionals. It was not to be abandoned on the weekends when professional hats were removed, or manipulated for our own purposes when it suited. Rather, ethical conduct was for all the time. It was a way of being. I felt so proud of her, and said so. She smiled happily, placed two Antonello's coasters on the table between us, and said, 'Good'. Her mischievous eyes twinkled, 'Now, if you pass me the Pinot Noir we can drink to that'. And we did. This article was originally published as: Bowen, C. (2008a). Webwords 29: Ethics and fidelity. ACQuiring Knowledge in Speech, Language and Hearing, 10(1), 22-23. It was re-printed as Bowen, C. (2015b). Webwords 29: Ethics and fidelity. Journal of Clinical Practice in Speech-Language Pathology, 17(Supplement1), 20-21. 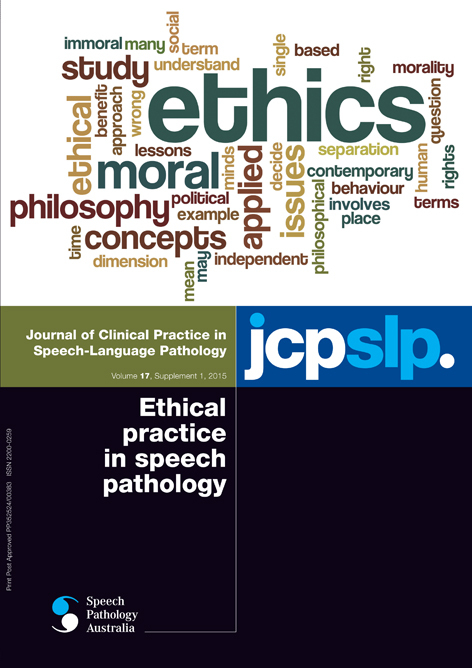 Bowen (2015b) appears in a special supplementary issue of JCPSLP entitled Ethical practice in speech pathology, edited by Suze Leitão, Chair Ethics Board and Christina Wilson, Senior Advisor Professional Issues (2010-2014). The supplement contains all the articles in ACQ, and later in JCPSLP, written by members of the Ethics Board, and colleagues, over a decade.